The Mathematics Professional Development Project is a collaboration between Community School Districts 3, 5, and 6 and partners MetroMath@CUNY (Brooklyn College) and Math Solutions. The scope of the project is grades K–12. Math Solutions provides support for grades K–8, which is the focus of this report; Brooklyn College supports grades 9–12. Multi-year program to build content knowledge and pedagogy with a focus on number and operations. Activities vary depending on the needs of the teachers. 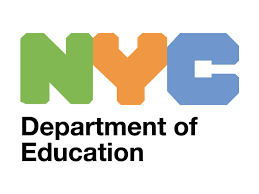 In 2003, a collaboration to improve math instruction began between Math Solutions and New York City Region 10 (Community School Districts 3, 5, and 6). In September 2007, the partnership continued with the launch of the Mathematics Professional Development Project (MPDP). Mary Lou Wainwright, Grant Coordinator, and Glenn Bunger, Grant Specialist, are leading this extensive three-year effort. This report highlights the purpose and design of the project, the first year’s activities, and next steps for school year 2008–2009 and beyond. Increase students’ mathematics academic achievement by improving instruction. repeated learning opportunities and follow-up. A school-year series of courses to build content knowledge and pedagogy with a focus on number and operations. A series of school-based coaching days for each of the five elementary schools and seven middle schools. The sessions offered teachers in-school opportunities for new learning experiences, mentoring, modeling, and planning. Beginning Year 2, an in-depth summer course to build content knowledge and pedagogy with a focus on algebra. additional resources such as Math Matters: Understanding the Math You Teach, Grades K–8. Mary Lou and Glenn also offer critical “nudging and support” for administrators, coaches, mentors, and teachers involved in this project. They give relentless attention to the process of transferring the learning from professional development experiences to classroom instruction. results from teacher needs surveys. Student achievement in mathematics needs to improve. Teachers want students’ achievement to improve. Teachers have little college content preparation to teach mathematics. Teachers want more professional development experiences in mathematics. Data will continue to inform the refinement of project activities, classroom implementation of learning, and impact on student learning. As Year 1 ends, the formal process of analyzing collected data is under way. While findings from the first year are not yet available, Mary Lou and Glenn are already making plans to maximize the impact of at least two aspects of the project. Interviews and project commitments show that principals of the project schools are aware of their crucial role in meeting the goal of increased math achievement for students. However, in the course of Year 1 activities, the need to engage principals more directly in the work became apparent. As Year 2 begins, Mary Lou and Glenn are prepared to work with principals to determine and provide information, professional development, and one-to-one support they need as they lead the implementation of new learning in their schools’ math programs. Experiences for teachers that are designed around their everyday work, in their schools and with their students, offer very practical help. With this intent, school-based coaching has been provided for the five elementary and seven middle schools in the project. During a school’s coaching day, activities vary depending on the needs of the teachers. Sometimes teachers engage in common observation and discussion of a lesson with students. They may collaboratively plan lessons as a grade level or devote attention to developing their math content knowledge. All activities, however, are designed to help teachers transfer their learning about mathematics and pedagogy into the classroom. Valuing the contribution that coaching can make to improving teachers’ instruction, Mary Lou and Glenn want to increase the impact of Math Solutions’ coaching support for Year 2 by including teachers from every grade level in each school. Calling this work “island sites,” the project leaders will organize teachers into grade-level groups of K–2, 3–5, 6, and 7–8. Following up on the algebra content focus from the summer course, teachers will meet five times during the school year with colleagues in their grade level from schools across the project. Like coaching days, these sessions will occur in schools and will provide practice-based experiences to help teachers refine pedagogy and deepen their algebra content knowledge. Teachers who participate in professional development through island sites will, along with their school’s math coach, share their learning and expertise with grade-level teachers in their home school. The MPDP is designed to make a difference for students’ mathematics achievement in Community Districts 3, 5, and 6. Math Solutions is honored to participate in this partnership and will report updates from Mary Lou Wainwright and Glenn Bunger as they continue to lead and refine this project.